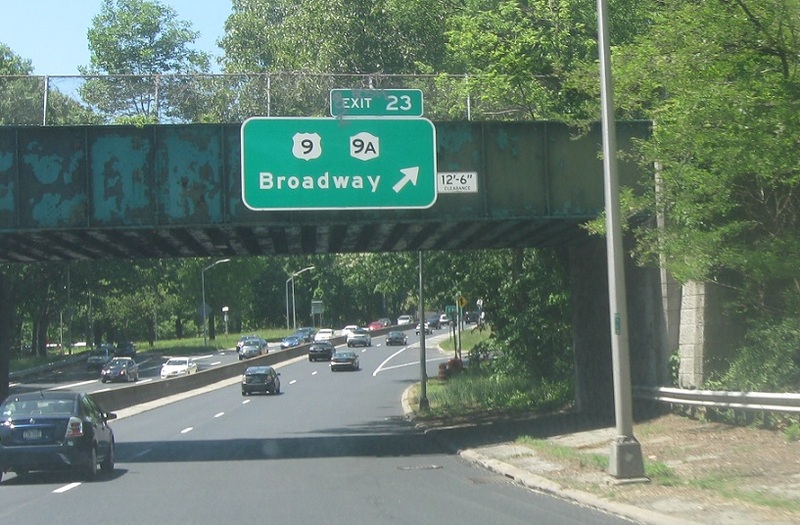 Just after the Mosholu Parkway, we’ll approach US 9 and NY 9A. 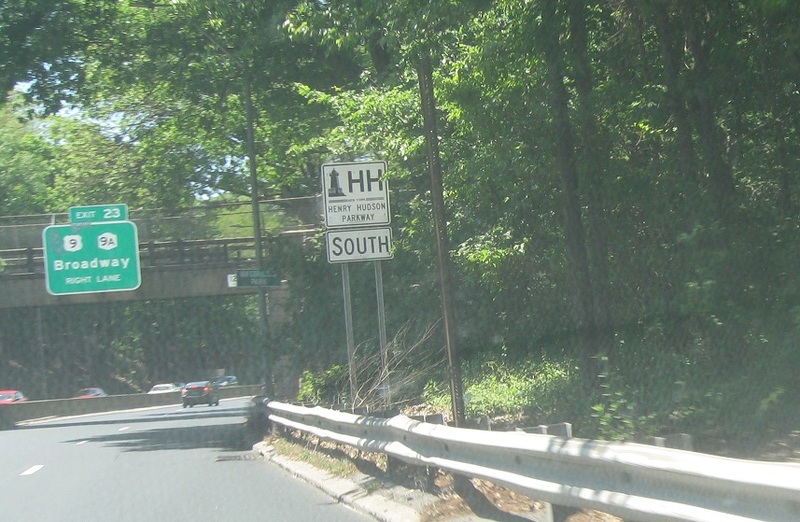 Reassurance shield after the Mosholu Parkway. 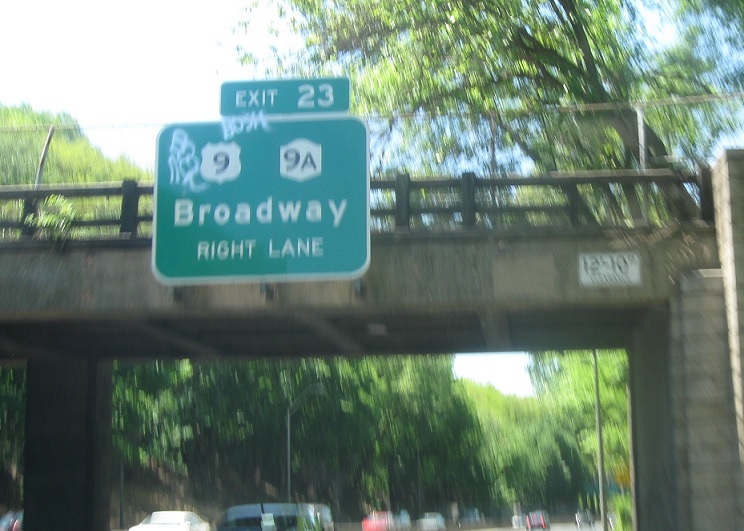 Exit ahead for US 9/Broadway and NY 9A. 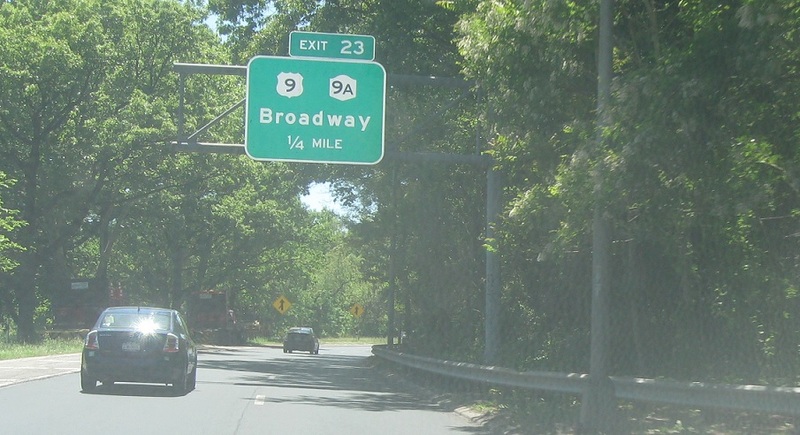 Exit for US 9/Broadway – this being the same Broadway that heads all the way into Manhattan. Follow 9 north for 9A north. 9A south joins the Hudson Parkway, and they’ll run together to Midtown Manhattan.